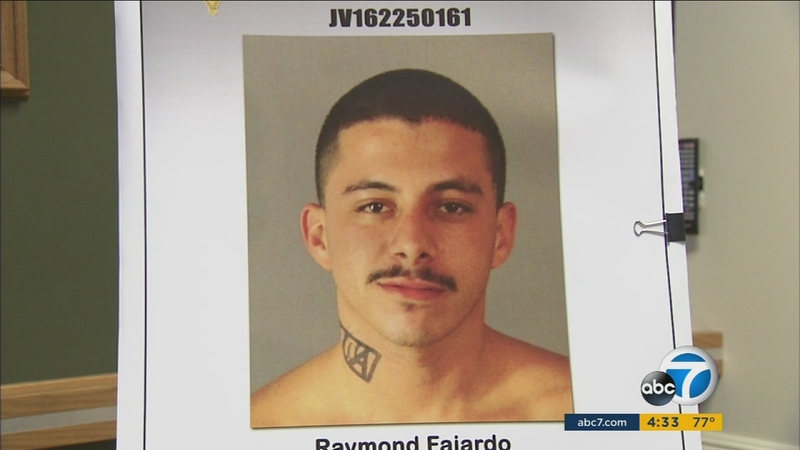 Deputies said Raymond Fajardo, a documented gang member, was arrested in connection with the shooting death of 71-year-old Ronald Capotosto near Jurupa Valley Country Club. JURUPA VALLEY, Calif. (KABC) -- A man was arrested in the murder of a 71-year-old Jurupa Valley who was gunned down near a golf course, according to deputies. The Riverside County Sheriff's Department said Raymond Fajardo was arrested for his involvement in the shooting death of Ronald Capotosto on Aug. 10. Ronald Capotosto was killed at an intersection near his Jurupa Valley home, and another man, who deputies said was possibly the intended target, was also injured. "Our family's been totally destroyed by it," Betty Capotosto, Ronald Capotosto's widow said. "That particular corner that happened, I go by there a dozen times a day sometimes." Betty Capotosto said her husband was coming home from buying pool supplies. "My husband was just at the wrong place at the wrong time," she said. Following the shooting, members of the Riverside County Sheriff's Department's Gang Task Force hit the streets. Fajardo was arrested during a vehicle check near the crime scene two days later. "In Mr. Fajardo's possession was found a high capacity magazine," Capt. Jason Horton said. "Possession of that item is illegal and because he was found in possession he was arrested that evening." Investigators said Fajardo was a documented gang member and stated he did not act alone. "We believe that there are still other individuals who may have been involved on the evening of Mr. Capotosto's death," Horton said. Betty Capotosto said her husband of four years was the center of their blended family. Together they had 10 children and 27 grandchildren. While the arrest will not diminish the grief, she said it does provide some relief. "That guy's got to be off the street, and his friends, because evidently they were together on it and it wasn't just one person in that car," Betty Capotosto said. If you have any information about the shooting that could aid detectives, you were urged to call the Riverside County Sheriff's Department at (951) 955-9232.